Computer Science is a compulsory subject in the school. Computer labs offer a lot of scope for all children to acquire hands – on training. The School has a well developed computer centre with first-rate machines. Instructors and faculty members are available to help students to learn and use computer extensively for their learning. It is fully equipped to provide child friendly activities through interesting software. Each child has his/her own work station to practice. Computer education begins right from Ist Std. and goes up to class XII. In the lower classes, computers are used as a means to learn other subjects. The Computer labs also facilitate senior students to acquire programming skills. The function of the chemistry lab is to ensure technical and scientific support. to all the students. The lab is well equipped with modern day sophisticated apparatus. All infrastructure, equipment and chemicals are made available to the students. Fully equipped with good quality apparatus, chemicals and ammenities. We have a highly sophisticated physics lab with ample equipment to perform experiments in various branches of physics, starting from mechanics, properties of matter, optics, electronics and optro electronics. It caters to all the requirements of CBSE till class XII. 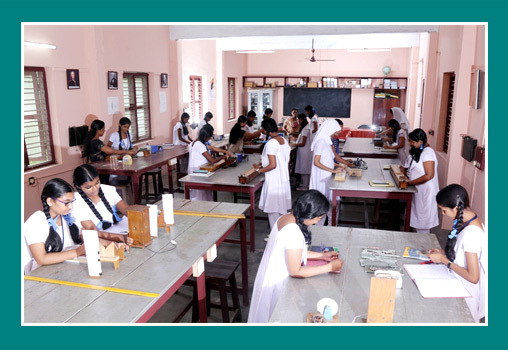 The school has a spacious, well equipped and furnished laboratory. It has many digital, monocular and binocular microscopes. It has all the required apparatus, specimen jars, charts and various models that is required for a sound learning. 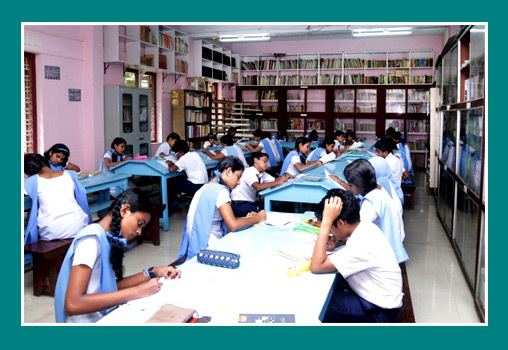 The in-house library with over 21000 books and a photocopying facility is an effective tool in the education process of the student. The collection of books ranges from academic to philosophy. The library also subscribes to selected weekly and monthly journals, magazines and newsletters, apart from the daily newspapers. 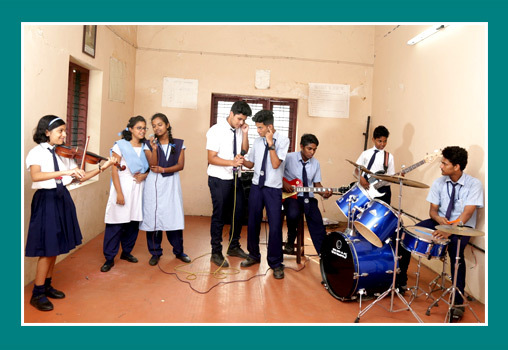 The school provides ample opportunities for students with an aptitude for music. Professional music teacher and availability of different musical instruments help the budding musicians to pursue their interests with ease. 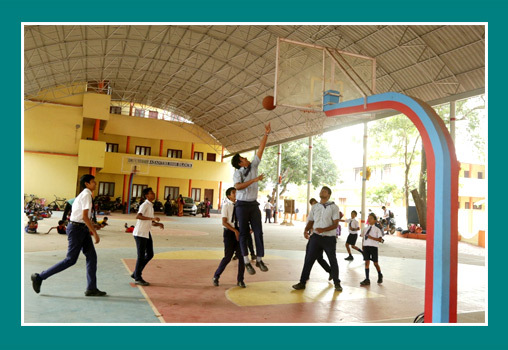 The games and sports amenities of the school range from courts for games like basketball, volleyball, football, shuttle, table tennis and a full-fledged cricket ground. All the students are divided into four houses and inter-house competitions are held in all the games both for senior and junior students. 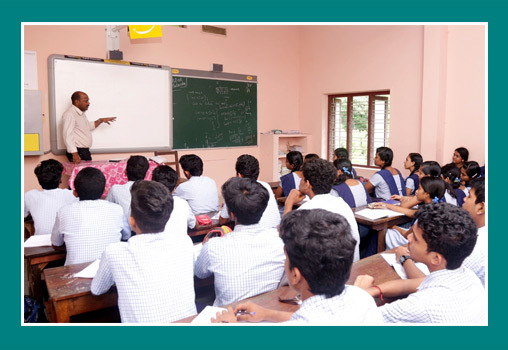 The classrooms are spacious, well-ventilated, lighted and equipped with modern educational amenities (Digital). Emphasis is laid on cleanliness. Highly conducive classroom environment enrich the quality of the teaching-learning process. Today the process of teaching is not limited to text books and note books. Usage of technology like smart boards and labs in education has made education simpler for students. The labs are now not only constricted to science but to all subjects. The Maths Lab in Matha School is one of its kind facility for the students. 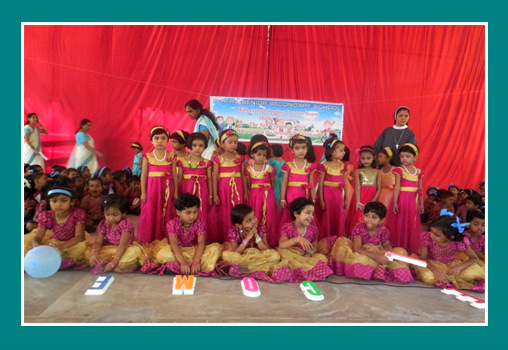 It comprises of latest equipments which are to be used by the teachers and students. The Maths Lab has material related to all the topics being studied in different levels in school. The Lab is tremendously enjoyed by our students. A number of activities are being conducted in the lab which has made the topics easier for students to understand. The lab being spacious helps in easier movement of the students where sufficient numbers of seats are available for students. The students simultaneously enjoy as well as learn the concepts. The dedicated teachers here ensure that all students get a chance to use the material and experience the Maths activities hands on. The school buses serve all major residential areas of the city and its suburbs. The routes of the school buses are drawn up keeping in mind the needs of the parents, the transport fee will be according to the distance from the school to the place of boarding. Transport will be available on the routes determined by the management at the beginning of every academic year. School is equipped with efficient fire fighting system & wide staircases for quick evacuation. 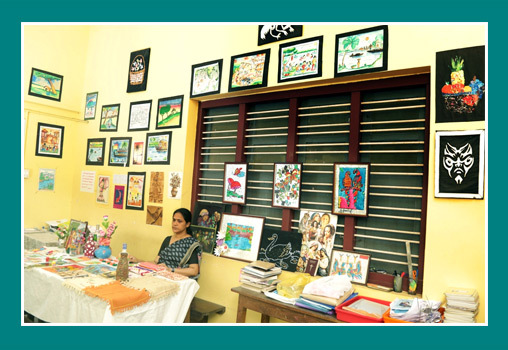 The School lays great emphasis on Art Education which includes exposure to the various domains of Art and Craft - Sketching, Painting, Poster Making, Clay Modeling, Wood Craft etc. - for a true coordination of 3 Hs - Head, Heart and Hand. We at Matha Senior Secondary School believe that dancing in all its forms must be included in the curriculum of all noble education. Dancing with the feet, with ideas, with words and with expressions sets our education at a pace apart.